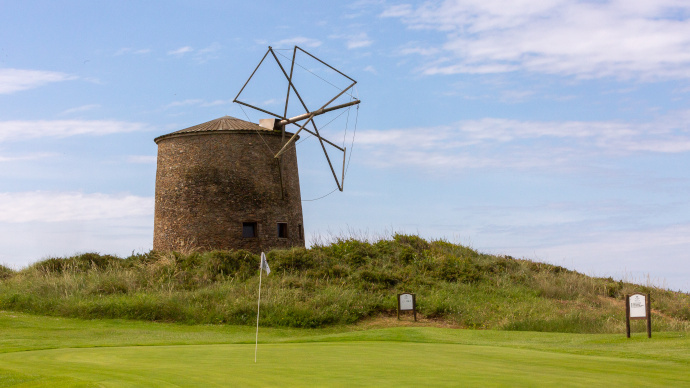 Take a look at our Top Golf Holiday Deals in Oporto, personally selected for you by Tee Times Golf Agency team of experts, based in Vilamoura. Surrounded by the natural beauty of green parklands, the majestic Vidago Palace blends the Belle Epoque style with modern luxuries. 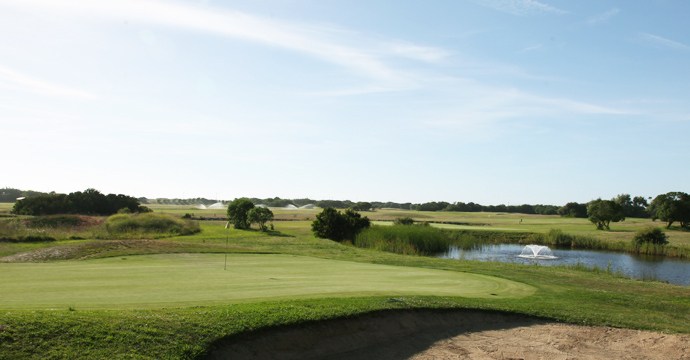 It features a vanity pool, spa and 18-hole golf course. Decorated with light colours and floor-to-ceiling windows, the rooms at Palace Vidago come with LCD TVs and work desks. Each offers a spacious seating area. Guests can choose between Vidago’s indoor or outdoor pools or try some rejuvenating beauty treatments at the spa. Hydrotherapy uses local mineral waters and essential oils from plants grown on the Palace grounds. Vidago Palace provides 4 restaurants, including the stylish main restaurant, spa bar and poolside bar and grill. The region’s most famous export wine can be tasted at Vidago’s wine cellar. 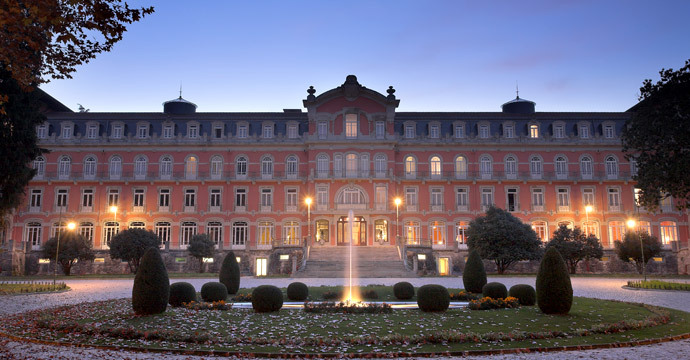 Vidago Palace is located just 5 minutes’ drive from the centre of Vidago. Free private parking is available. Featuring a restaurant with Atlantic Ocean views, beachfront Hotel Solverde has a spa offering saltwater pools, dry heat sauna and massages. 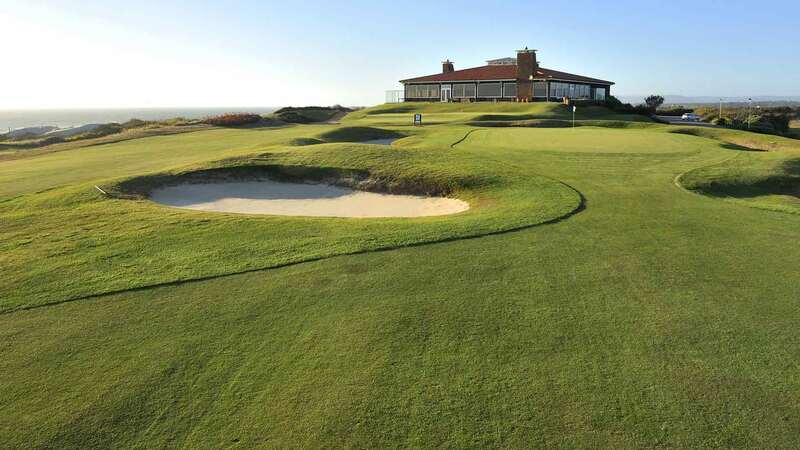 Facilities include a fitness room, tennis courts and a football pitch. Overlooking the ocean or hotel surroundings, the air-conditioned rooms include a satellite TV, minibar and desk. The private bathrooms provide free toiletries, bathrobes and slippers. RNT 295 A buffet breakfast is available and the hotel's bar has live piano music at weekends. Business facilities include a heliport and meeting facilities. 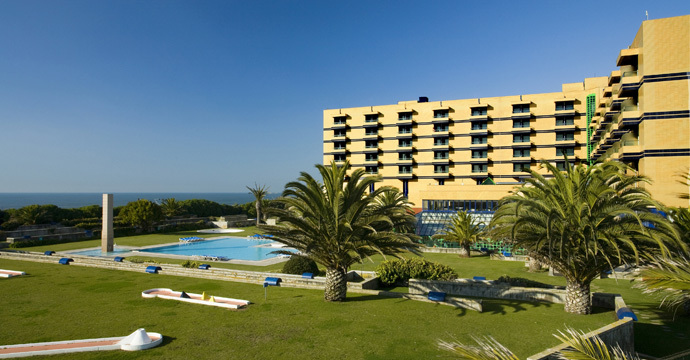 Hotel Solverde Spa and Wellness Centre is 2 minutes’ drive from the centre of Espinho and 15 minutes by car from Porto. Porto International Airport is 28 km away. The city was built along the hills overlooking the Douro river estuary, and its historical center was awarded World Heritage status by UNESCO in 1996. It has been continuously inhabited since at least the 4th Century, when the Romans referred to it as Portus Calle. Porto has a semi-Mediterranean climate, although it's strongly affected by the Atlantic ocean, which makes it cooler than other Mediterranean cities. However, temperatures can rise as high as 40ºC in August during occasional heat waves. Winters are mild and humid, with occasional cold nights where temperatures can drop below 0ºC. Porto has always been a mercantile city, and this is evident in the style of buildings that front onto the Avenida dos Aliados, the core of the downtown area. The center of town, unlike other major Portuguese cities, which tend towards the baroque, is granite and monumental. The city is quite variegated architecturally, with medieval as well as modern living side by side. Porto's geography is hard on the feet, but pleasant to the eye. The city is extremely hilly, with many buildings built into a cliff face that overlooks the river. Stairs cut into the stone run up and down the cliff face and offer a laborious but rewarding walking tour. Across the river from Porto proper, in the suburb of Vila Nova de Gaia, are located the warehouses of notable companies dealing with Port Wine, such as Cálem, Fonseca, Sandemans, Kopke, and others. 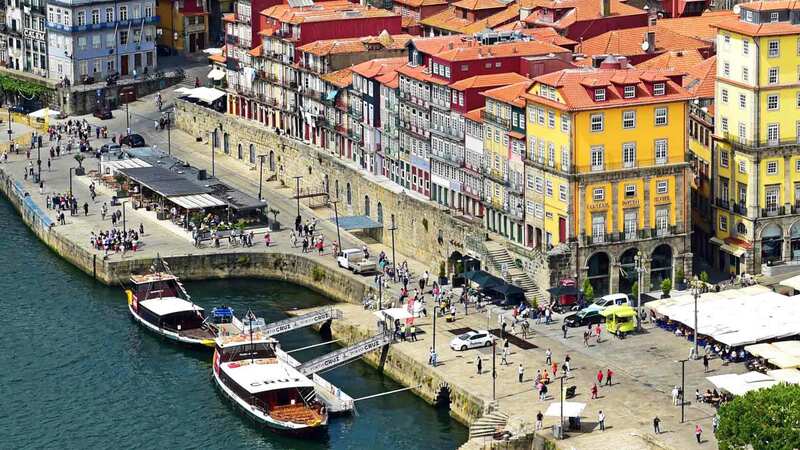 Porto grew its tourism since many airports around Europe, like London Stanstead, Liverpool, Marseille, Girona, or Frankfurt/Hahn, started to have direct flights to the Porto Airport on lowcost companies, such as Ryanair and Easyjet. 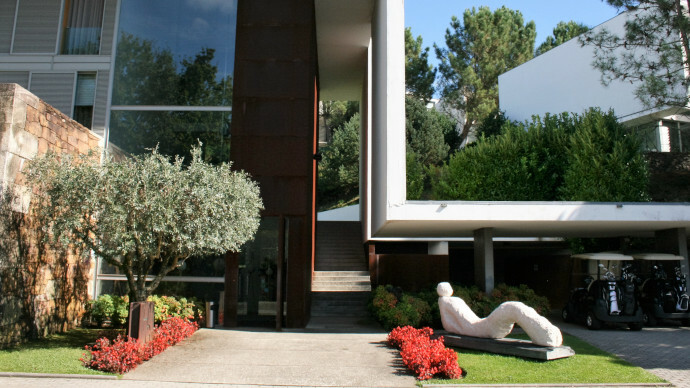 Porto has become a perfect holiday destination, not only for the cultural and gastronomical offer of the city itself, but also for the beautiful surrounding cities that play an important role on Portugal's culture and identity, like Braga, Viana do Castelo and Guimarães. 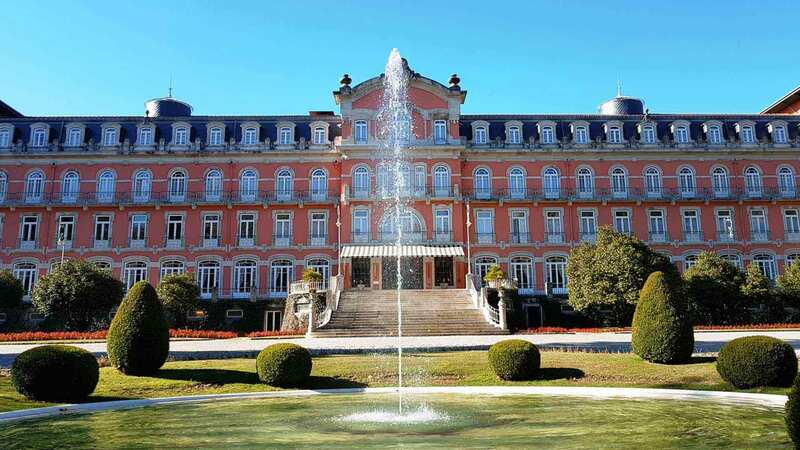 You can find excellent accommodation in Porto, from basic hostels to business hotels, to mid-range hotels, to 5 star quality properties and the popular historical and nature charm hotels known as "Pousadas de Portugal", you can be sure to find one within your budget. 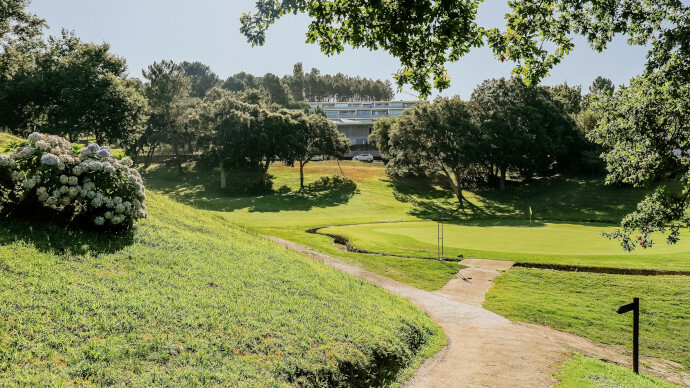 Porto has an ancient tradition in golf, having the oldest golf course in Portugal, the Oporto Golf Club founded by Charles Neville Skeffington. 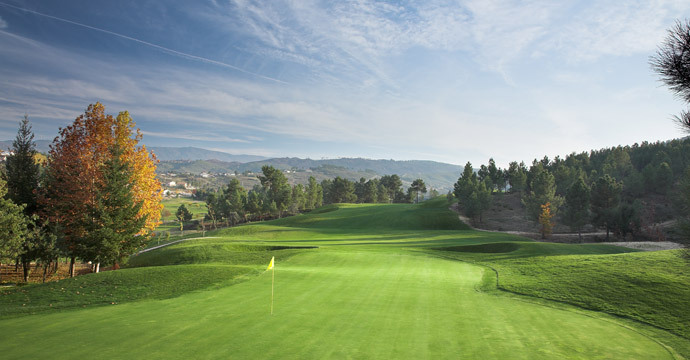 Although Porto and the northern Portugal are not as known for its golf courses has Algarve, it offers a large variety of golf challenges that can be played on beautiful natural sceneries that won't be found anywhere else on the country, like the River Tamega, the Mountain of Marão, the majestic backdrop of the Serra da Estrela and the Serra do Caramulo. 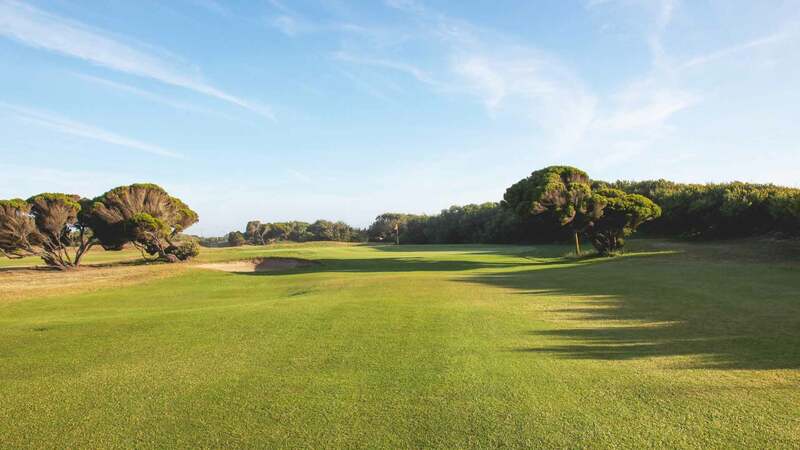 You can play at much lower rates than in the south of Portugal and enjoy a warmer temperature on the Summer.